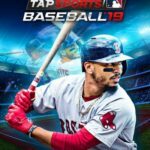 MLB Tap Sports Baseball 2019 is Glu Games’ latest entry in the popular MLB simulation series, and as you should know by now, it’s now available for iOS and Android devices. 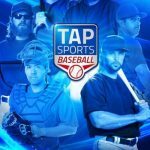 While Glu may be well-known to gamers of other genres as the company behind Kim Kardashian: Hollywood, Kendall and Kylie, and other titles, their game (no pun intended) also happens to be very sharp when it comes to sports simulations, and the Tap Sports Baseball series is proof positive of that. You can choose your favorite real-life MLB team, then proceed to set your lineup, improve it with new players and various means of training, and take part in a plethora of game modes, all while compiling what we would say are fairly realistic statistics based on how each player performs in the real MLB world. In our first two MLB Tap Sports Baseball 2019 guides, we had covered a whole lot of ground, discussing most of the popular game modes and features and offering a wide range of tips relating to the actual gameplay — batting, bunting, base stealing, roster/team management, you name it. But there are a few features that we have yet to touch on, and a few more tips that we believe you could use to your advantage if you’ve been playing this game for a while, especially the regular/bonus games against other human managers. So with that said, let’s take you to our third and last MLB Tap Sports Baseball 2019 strategy guide, starting with a detailed primer of sorts on Season Mode and the rewards you could earn while playing it. You’ve probably been wondering for a while about Season Mode in MLB Tap Sports Baseball 2019. What is it, how do you play it, and why should you play it? Fortunately, we’ve got you covered and we can answer all three questions for you through this specific tip. For the uninitiated, Season Mode allows you to pit your team against the 29 other MLB teams, but instead of a full 162-game season, the seasons in this game last “only” 116 games — that’s 29 teams multiplied by four, meaning a chance to compete against all other teams on an equal basis. Yes, that is quite a lot of games, we would admit, but the good thing about Season Mode is that if you’ve gotten your team’s overall Game Strength to the 20,000 range or thereabouts, it should be fairly easy to win games against your AI-controlled opponents, which would normally start out in the 15,000 range or so. Games are played like they normally are in Bonus Games, meaning it’s turn-based with no waiting in between halves of innings, but the catch here is that you’re going to have to wait a good eight hours in between series against teams. You have the option to pay gold if you don’t want to wait, but you probably wouldn’t want to do this, because it’ll cost you more than 100 gold in order to skip the wait time, regardless of how much longer you have to wait! As for what’s in it for you when you play in Season Mode, this mode allows you to win Pennants, which you could use to improve specific groups of players, XP, which, as you should know by now, is used to level your players up, and EVO, which is used to evolve your players from one rarity to the next. That would be from Bronze to Silver to Gold to Diamond, in specific progression, and this is important because you can only level up a player so much depending on his rarity; moving him up from one tier to the next would allow you to level him up even further, thereby improving his attributes and overall rating even more and giving you an even tougher lineup on the field. Yes, we do agree that the wait time in between series could be a serious drawback, but given that this is one of the best ways to win EVO tokens and Pennants, you certainly will want to give Season Mode a try once you unlock it, but preferably once you’ve improved your team quite a bit. Those Season games could serve as a real breather in between the tougher matchups! Regardless whether you win or lose a game in Season Mode, you will earn Pennants in MLB Tap Sports Baseball 2019, and as we mentioned above, you can use this resource to improve groups of players. But let’s get into the specifics of this resource and see how these Pennants work. As you’ll see in the Pennants sub-menu under Team, players are grouped based on which team they play for in real life, and whether they are batters or pitchers. And as you progressively spend more Pennants on a group of players, the greater the percentage their overall ratings will be improved by — for example, you’ll need to pay 15 Pennants in order to improve two Phillies batters’ ratings by 3 percent, and after that, the price to increase the improvement to 4 percent (as compared to the original rating — this is not cumulative!) would become 20 Pennants. All in all, you can use Pennants to increase player ratings 20 times per group, which means a player with an 80 rating without Pennants could see his rating increase to 96 (80 + 16, which is 20 percent of 80) if you fully upgrade him using this resource! Of course, there are other ways in which you could improve a player’s rating — leveling up is still faster and easier — but Pennants could add some extra oomph to their rating and take you closer to having a five-star team of players that could dominate most other teams in this game. 3. Is It Worth To Add Keepers To Your Team? One of the new features introduced on MLB Tap Sports Baseball 2019 is the ability to call up a maximum of three players from your Tap Sports Baseball 2018 team and introduce them to the current year’s roster. Should you take advantage of this feature, and what’s in it for you if you promote keepers? While the good thing about this feature is that it’s free of charge — it won’t cost you any resources — and that your keepers will retain their star rating from the previous year, the bad news is that there’s a Keeper Factor that will come into play. It starts at 0.6, which means that if the player you’re promoting to the current year’s roster ended last year’s roster with a rating of 80, his rating will be a measly 48 once he gets added to the lineup! Likewise, his maximum rating will also be affected by the call-up — a maximum rating of 250 would become 150 as long as the Keeper Factor is at its starting point of 0.6. Furthermore, if you level up your Keepers straight-away despite their low rating and Bronze rarity, you will likely be paying a lot of XP and cash because of the fact they’ll still be keeping the same star rating. You will notice that we did mention a starting point for the Keeper Factor, and that is correct — the game does say that the multiplier can increase “over time.” So how do you increase it? We’d say the best thing to do would be to utilize your Keepers and have them play more games — it isn’t clear how much time is needed before the Keeper Factor goes up. However, we’d also suggest that you shouldn’t use your Keepers too much, given how much lower their adjusted ratings will be compared to most of your team. Also bear in mind that your Keepers, provided their ratings are still lower in relation to your team, will not be eligible to play in Season Mode, even if you manually swap them into your starting lineup or rotation. It may seem a bit difficult to earn gold simply by completing achievements and moving from one tier to the next. However, MLB Tap Sports Baseball 2019 has another way in which you could earn a tidy amount of gold for yourself, provided your skills at predicting certain events in the real-life MLB season are up to speed. The Pick ‘Em feature works by asking you three questions per day, and if you get all three correct, you could win upwards of 100 gold. For example, you may be asked if a certain team will win its game against their next opponent, how many hits a certain player would get in his next game, or how many batters a certain pitcher may strike out — these are just some of the examples of questions that may be asked, and since there are MLB games played every day of the season, the questions refresh on a daily basis. Don’t worry if you’re not able to get all three picks correct — the MLB season is quite a long one, and if you come to think of it, there are only three questions and only two choices per question — yes and no. Aside from gold, you could also win Patches by playing Pick ‘Em games and getting all three picks correctly. What are Patches, and how can they help make your team better? As the game explains, these are part of your Collections, and if you’re able to get all four Patches belonging to a Collection, you can earn yourself some sweet bonuses for Club game modes. For example, completing the Legendary Ballparks Collection will reward you with a 1.3x multiplier for all Club Bonus Points that you earn in Bonus Game Events, while completing The Great White North Collection gets you a 1.3x multiplier to Club Bonus Points in Slugfest mode. 5. How Do Home Run Battles Work? Home Run Battles, aka HR Battles, are another game mode/feature that we haven’t quite dealt with in our series of MLB Tap Sports Baseball 2019 strategy guides. But this is a mode that’s also worth playing, even if at first, you may not exactly end up beating your opponent. For starters, your HR Battle lineup is separate from your standard lineup that you field during regular games and Season Mode. 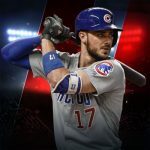 You will start out with a roster of 12 Sluggers — these are real-life MLB players who are known for their ability to hit home runs out of the park — and just like you could to the players on your standard lineup, you can use XP and cash to upgrade your Sluggers. (That is, however, from your overall XP and cash, as the game doesn’t separate the XP and Cash you earn from/use for HR Battles.) You can also purchase separate draft picks to improve your rotation of Sluggers — #1 picks cost 300 gold, 1st Round Sluggers cost 100 gold, and 2nd Round Sluggers cost 4,000 cash. After paying the rather affordable 5,000 cash entry fee for a HR Battle, you will then be matched with a comparable human player. You will be asked to choose the Slugger you wish to field, and after that, the two of you will compete in a one-on-one battle where the objective is to hit as many home runs as possible, and as far as possible, with consecutive homers earning you bonus points. That’s right — it’s pretty close in terms of mechanics to Walk Off Hero, and regardless whether you win or lose the battle, you’re sure to get a reward, usually some XP which you could use to improve your players and level them up. In relation to HR Battles, you could also take part in the Royale Slugfest, which is even more similar to Walk Off Hero, in the sense that you need to go through one level to the next, with the quality and amount of prizes increasing from level 1 to 5. At the time of this writing, for example, you could win 20,000 cash for acing level 1, an increasing amount of EVO, cash, and XP from level 2 to 4, and an 85-rated Slugger (Gleyber Torres of the New York Yankees) if you’re able to make it through level 5 successfully. Before games in which your ace pitcher (the one designated as SP1 — the best starter on your rotation) is resting, you will be asked whether you want to use an Ice Wrap in order to get your ace rested immediately and ready to play the game in question. Meanwhile, you will also get notifications from time to time, asking you if you want to use an Energy Drink so that your pitcher (may it be a starter or reliever) is able to keep on pitching at top form, regardless whether he’s tiring, tired, or even if he’s completely gassed. By now, you should have noticed how pitcher ratings decline as he gets more tired, with starters, of course, taking longer to tire out than relievers. As the opportunities to earn Ice Wraps and Energy Drinks could be limited, and since both of these boosts cost a lot of gold, even for the most affordable package in the in-game store, we suggest using them only when you absolutely need them. You don’t need your ace on the pitcher’s mound when you’re facing a patsy of an AI team whose Game Strength is several thousands lower than yours, and you wouldn’t need to give your pitcher at any given time an energy boost if you’ve got a deep bullpen. But if you’re up against an especially tough opponent and/or the stakes are high (e.g. if you’re playing in a playoff game), then you can go ahead and use any one, or both of these boosts, though we wouldn’t really recommend using them a second straight time if you lose the game in question. This, we admit, is something we could have covered in our earlier MLB Tap Sports Baseball 2019 guides. But since we often tie up loose ends in our advanced guides, we’re first going to talk you through the Mystery Boxes you can open in the Store menu. Mystery Boxes are, well, supposed to be free to open once a day, but if we are to be completely accurate, they cost 1 cash to open — it’s as close as you could get to being free! More often than not, you won’t get much — probably a few thousands worth of cash — but if you’re (very) lucky, you might end up with a high-quality player pull! Basically, the rewards can run the gamut, though you’ll probably end up with the few thousands of cash about two out of three times. Similar to the Mystery Boxes, you could also choose one of three “Moments” every four hours in the corresponding sub-menu in the Store. Again, the rewards could run the gamut, ranging from cash, XP, bonus games, Ice Wraps, to Draft Picks and a lot more. But if you really want a good idea of the odds of earning each of the possible rewards, you can tap on the small “i” next to the words “Odds on Rewards” above the three Moment cards. Lastly, the lower half of the Games screen will allow you to “Get free Gold” (look for those exact words underneath the list of game options) through a couple of options. The first option lets you watch an ad video, which would last between 15 to 30 seconds. Regardless of the video length, you will earn a guaranteed 4 gold or more, though we would suggest that you don’t expect too much. You can, however, also choose to complete offers in the offer wall, first by tapping on the View Offers option located above the Watch Video option. The rewards could earn you hundreds, or even thousands worth of gold, though the catch would be that the high-reward offers would require you to download a completely separate game through the menu, then reach a certain level on that game. Last, but not the least, MLB Tap Sports Baseball 2019 will reward you richly enough if you happen to have missed several days of gameplay. This is what we would call the “Welcome Back” reward package, and these rewards may include, but not be limited to XP, cash, gold, and boosts, may they be Franchise Coins, Ice Wraps, and/or Energy Drinks. Of course, it’s better if you play the game on a regular, maybe daily basis, but if you, for one reason or another, are away from the game for more than a few days, it’s good that the folks at Glu are willing to encourage continued gameplay with these “Welcome Back” rewards.